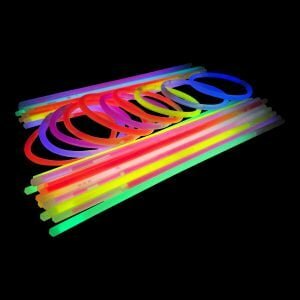 Home » News » Glowtopia’s Top 5 Best Sellers this week! Glowtopia’s Top 5 Best Sellers this week! 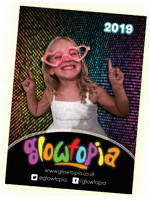 Here at Glowtopia, we have been super busy shipping orders, and we thought you might like to see what’s hot for the Summer Holidays. 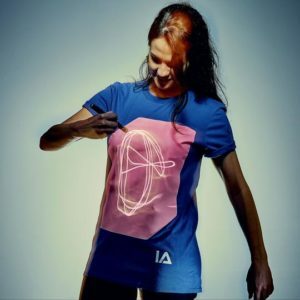 Top of the list this week and hot off the shelves are GLOW T-SHIRTS. 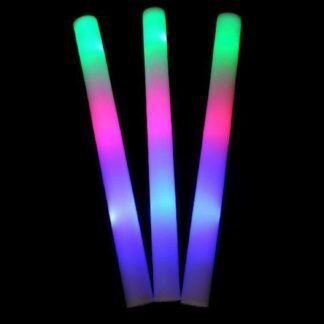 Our 8 inch Glow Bracelets are always our best seller, cevery week, all year! 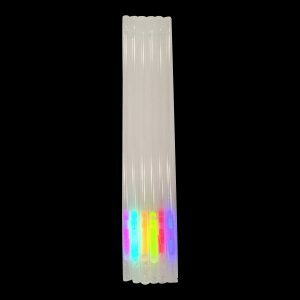 Available in 8 different colours in bulk tubes, they can be paired with connectors and used in multiple ways, making them excellent value for money. 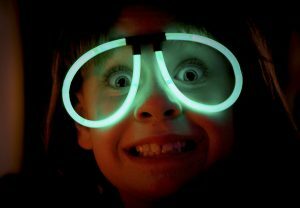 With the all this hot weather BBQs and garden parties are big news, and since our GLOW STRAWS have been flying out the warehouse this week, we’re guessing that the entertaining is getting funky and fun when the sun goes down. It seems this week the girls are getting their glow on as the Summer Holidays get underway. 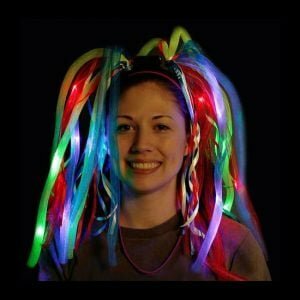 These popular Crazy Hair hairbands make kooky colour and light filled bunches that every girl needs this Summer. 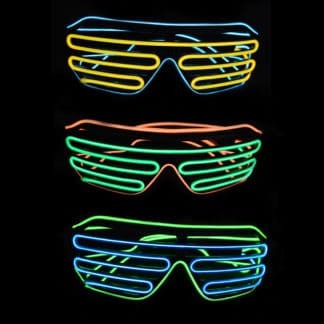 These cool accessories are the must have glow accessory for festivals, summer holiday clubs and camping. Your kids will be looking cool and will be easy to spot when the sun goes down!